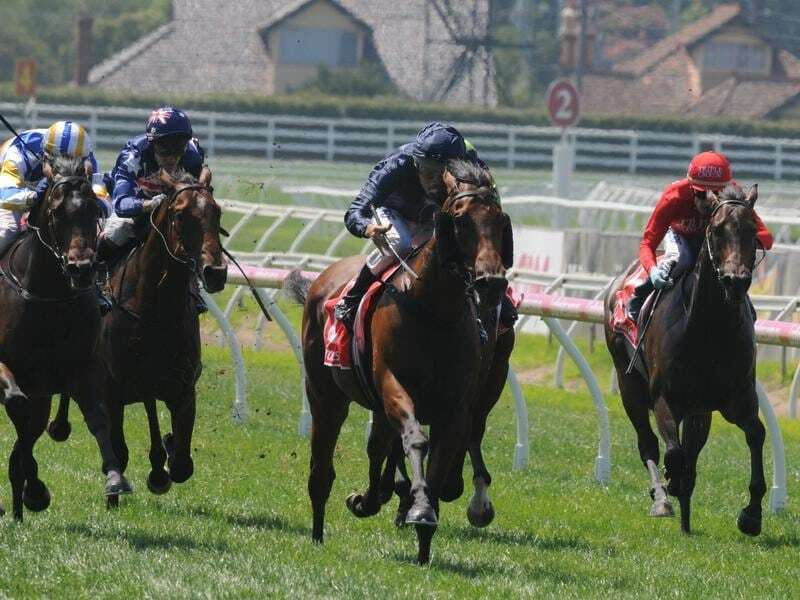 Long Leaf will be Lindsay Park’s sole representative in the Group One race over 1400m for three-year-olds on Saturday. Long Leaf had previously performed well in Sydney in the autumn finishing sixth to Estijaab in the Golden Slipper at Rosehill and fourth to El Dorado Dreaming in the ATC Sires’ Produce Stakes at Randwick. “He’s not good on the wet,” Hayes said. “He’ll improve out of sight with the blinkers back on and getting to the 1400 metres. “He’s worked well in the blinkers and they’ve worked wonders plenty of time before on race day.